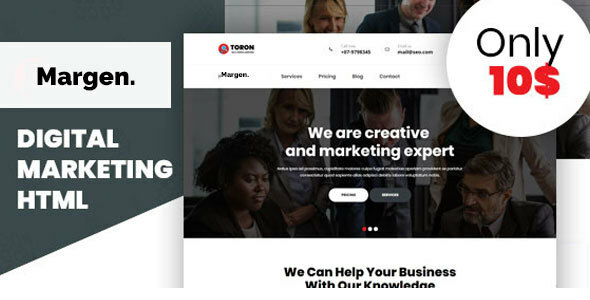 Margen Seo and digital marketing template , Multipurpose Business Template suitable for Marketing Agency, Studios and Consultancy Services. Well Organized HTML & CSS code is the key features of Marketing . The design this a HTML Template implemented in Flat Filled Outline Style. This is a unique and creative solution for your projects.